How can you support the Foundation? The Metropolitan Court of Appeals established in its final ruling that Index.hu Ltd had violated the reputation of the Children Cancer Foundation in several articles in 2013 and 2014. The false claims were taken over by several news portals causing significant damage to the organisation. Upon Index’s request, the final ruling was also dealt with by the Supreme Court and Index was obliged to publish a remedial communication and pay one million forints in compensation for non-material damages. Due to the negative media campaign, the foundation has lost many of its supporters. A non-profit organisation can gain support only if its reputation is intact. The Children cancer Foundation continues to help children with cancer and their families and will sue Index for damages. In its ruling of No 32.Pf.20.570/2016/4-II the Metropolitan Court of Appeals established that Index.hu Ltd. as defendant had violated the reputation of Children Cancer Foundation as plaintiff by suggesting in its article ‘Avoiding traffic jam in private ambulance’ published on their Internet portal on 17 December 2013, using a simplified calculation related to the yearly average of the amount spent on patient transport by the foundation, that plaintiff was engaged in wasteful management. Furthermore, the defendant violated the plaintiff’s reputation by spreading the false rumour in its article ‘Children Cancer Foundation under heavy attack by EMMI’ also published on 17 December 2017 that “ …the Children Cancer Foundation is one of the organisations which have spent more than 10 million forints on advertising so far while spending considerably less in proportion on genuine goals …”, creating the false impression that a significant percentage of the income is not spent on purposes of public interest by the plaintiff. It also violated the plaintiff’s reputation by falsely claiming in same article that “ …only a fragment of the one billion forints acquired from 1% personal income tax donations was actually given to people in need, according to Government Control Office (KEHI) investigation…”. The appeals court ruled that the defendant violated the plaintiff’s reputation by misrepresenting in the article ‘On what and how does the Children Cancer Foundation spend their money?’ published on the index.hu Internet portal on 18 December 2018 the real fact that “…the network treating children with cancer received 16 million forints in the past two years …”, creating the false impression that this was the only part of the donations which the plaintiff contributed to the support of hospitals treating children with cancer. 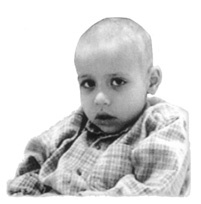 The appeals court ruled that the defendant violated the plaintiff’s reputation by spreading the false rumour in its article ‘Paediatric Clinic of Tűzoltó Street requested support from Children Cancer Foundation but was refused’ published on 10 February 2014 that “… the foundation supports the patients with monthly donations of 5000 forints, but only those who regularly visit the foundation to receive the donation …”. 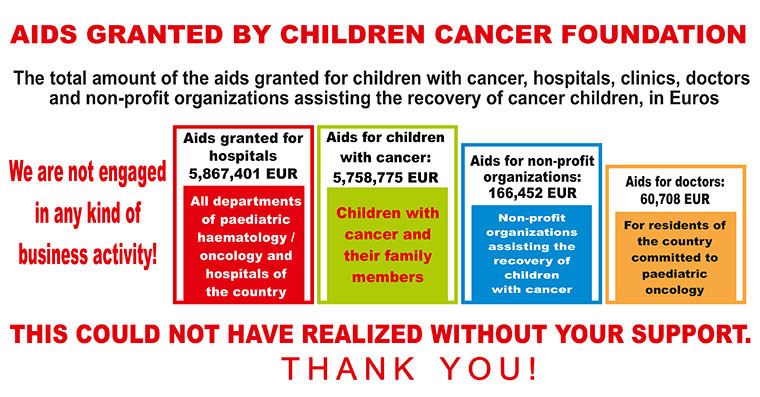 After an investigation lasting for three and a half years, the authorities concluded that not a single forint was misused by the Children Cancer Foundation. In their communication sent to our editorial, the foundation points out that the amount of 1% personal income tax donations fell by more than half a billion, due to a series of attacks and insinuations against the organisation. After terminating the procedure against the Children Cancer Foundation, the authorities concluded that not a single forint had been misused by the organisation. A decision by the Budapest Police Department (BRFK) stated that perpetration of a criminal offence could not be established on the basis of available data and further investigation was not likely to produce any results, therefore the investigation was terminated. During the investigation, neither breach of fiduciary obligations nor consequential financial loss could be established. Further data arising during the procedure and suggesting criminal offence were duly checked, extensive investigative actions were performed, but no criminal offence could be established on the basis of available data. Furthermore, since no further investigative actions are likely to carry forward the investigation, termination of the investigative procedure is justified. The foundation got into the focus of attention when an article entitled ‘Avoiding traffic jam in private ambulance’ was published by Index informing readers that István Balogh, president of the Children Cancer Foundation, uses the foundation’s Mercedes carrying the sign ‘Children Cancer Foundation Child Saving’ to commute from his home to the foundation’s downtown offices. Although the portal claimed they had seen Mr Balogh several times driving to work to District 8 (where the Foundation’s offices are located) in a sedan-type patient carrier vehicle purchased by donations, the president then pointed out that although the patient carrier was occasionally used for “errands of public interest”, it was never used for private purposes. Due to the article on the Index portal in December 2013 and further ones in other media, personal income tax donations fell by 550 million forints compared to what was expected based on tendencies during the one and a half decades preceding 2014, according to their own calculations. The foundation claims to have lost 150 million in a single year, due to a dramatic decrease in offerings. Despite what happened, they continue to support children with cancer, just as they did in the previous two decades. They have helped a great number of children to cope with everyday challenges: donated wigs, paid for vaccinations, or provided medical equipment to families in need. In addition, they regularly support hospitals: for example, they donated a sum of 101 million forints to Heim Pál Paediatric Hospital at Christmas and purchased an X-ray machine worth tens of millions for the hospital in Miskolc earlier. After 3 years’ investigation, not a single evidence of misuse was found by the police, the National Tax and Customs Administration (NAV), or the prosecutor’s office. Investigation against the organisation started after Index had presented a video in December 2013 showing István Balogh, president of the foundation, commuting from his home to the organisation’s offices in the organisation’s child saving ambulance car. Later more information suggesting misuse was published. Upon these reports and charges pressed by the political party ‘Jobbik’, the Budapest Police Department (BRFK) started an investigation in January 2014, which was terminated in May 2016, in the absence of a criminal offence. As the legal representative of the Foundation pointed out, no evidence of misuse of funds was found by the police, the prosecutor’s office or the tax authority at the Children Cancer Foundation after two and a half years of intensive investigation. The police concluded that no criminal offence could be established and no further investigative actions were likely to carry forward the investigation in any way. The foundation pointed out that it became clear that the claims and rumours related to István Balog’s activities published in the media after 2013 were unfounded. During his work, István Balogh kept all the regulations and never misused a single forint. The false news items and their spread in the media caused the Children Cancer Foundation a loss of 550 million forints in tax donations in the past three and a half years, according to the Foundation’s own calculations. For example, in 2014 they received 150 million less 1% personal income tax offerings. Between 2006 and 2009, the Children Cancer Foundation was No 1 in terms of 1% personal tax offerings; from 2010 to 2013, it was No 2. While in 2013 it received a total 221 million, this sum fell to 70 million and 63 million in 2014 and 2016, respectively, making the organisation No 6 and No 10 on the list. Although the charity organisation did not misuse their donations, insinuations cost them hundreds of millions in losses. “No evidence of misuse of funds has been found by the police, the prosecutor’s office or the tax authority at the Children Cancer Foundation”, legal representative of the Foundation disclosed. As well-known, investigation against the organisation started after Index had presented a video in December 2013 showing István Balogh, president of the foundation, commuting to work in the organisation’s child saving ambulance car. After that, Index published a series of articles about the foundation, also reviewed by ‘Magyar Nemzet’, containing items of information which were objected to and refuted by the organisation and later proved false. Upon these reports and charges pressed by the political party ‘Jobbik’, the Budapest Police Department (BRFK) started an investigation in January 2014, which was terminated in May 2016, in the absence of a criminal offence. As the legal representative of the Foundation pointed out in his letter to our editorial office, no evidence of misuse of funds was found by the police, the prosecutor’s office or the tax authority at the Children Cancer Foundation after two and a half years of intensive investigation. The police concluded that no criminal offence could be established and no further investigative actions were likely to carry forward the investigation in any way. After István Balogh had won several media lawsuits and a personality rights lawsuit against Index, the portal published two rectification statements and was obliged by the Metropolitan Court of Appeals to pay a considerable sum as compensation for non-material damages. However, the false news items and their spread in the media caused the Children Cancer Foundation a loss of 550 million forints in tax donations, according to the foundation’s own calculations. For example, in 2014 they received 150 million less 1% personal income tax offerings, as revealed in their communication to ‘Magyar Nemzet’. “No evidence of misuse of funds has been found by the police, the prosecutor’s office or the tax authority at the Children Cancer Foundation”, legal representative of the foundation disclosed to ‘Magyar Nemzet’. According to the police, no further investigative actions are likely to carry forward the investigation in any way. Investigation against the organisation started after Index had presented a video in 2013 showing István Balogh, president of the foundation, driving the organisation’s sedan-type patient carrier ambulance car purchased by donations between his residence in Budaliget and the Foundation’s offices on Rákóczi Square, District 8, and another one when he was being driven by the chauffer of the ambulance to Police Headquarters in Teve Street. The procedure was terminated in 2016 but it was pointed out by the Metropolitan Prosecutor’s Office that the use of donations to the foundation and of the assets of the foundation was based on the individual decision of the president of the board of trustees, without previous resolutions by the board, only subsequently approved by the trustees, a procedure violating regulations concerning the use of the foundation’s assets. Apart from this, minor offences were found and notified. The board of trustees were requested to keep the legal deadlines for reporting obligations and, furthermore, pass decisions and carry out activities directly serving the fulfilment of the foundation’s goals. The board was specifically warned not to use the car of the foundation for private purposes. Publications on the scandal and their spread in the media have caused a loss of 550 million forints in tax donations, including the 1% personal income tax offerings, according to the foundation’s own calculations. The Children Cancer Foundation was subjected to a three-and-a-half-year investigation by the police, the prosecutor’s office and the tax authority. During this period, not a single evidence of misuse was found, legal representative of the Foundation disclosed. The Children Cancer Foundation has suffered considerable losses as a result of unfounded persecution. Investigations at the organisation started after Index had presented a video in December 2013 showing István Balogh, head of the foundation, commuting to work using the organisation’s child saving ambulance vehicle, which was being driven on bus lanes and tram tracks, without distinctive signals, to avoid traffic jams. More information was published later, which suggested misuse of funds. In January 2014, the Budapest Police Department (BRFK) started an investigation but the procedure was terminated on 31 May 2016. According to the rationale of the decision, an extensive investigation was performed and no criminal offence could be established on the basis of available data. The BRFK’s decision also states that further investigative actions are not likely to carry forward the investigation. The legal representative of the foundation noted that the authorities arrived at this conclusion after several years of intensive investigation. The foundation pointed out that the legal decision made it clear that the claims and rumours related to István Balog’s activities published in the media after 2013 were unfounded. During his work, István Balogh kept all the regulations and never misused a single forint. Due to these media claims, the total sum acquired by the Foundation through 1% personal income tax offerings was 550 million forints less in the past years than what was expected based on tendencies before 2014, according to the foundation’s own calculations. The Children Cancer Foundation was subjected to a three-and-a-half-year investigation by the police, the prosecutor’s office and the tax authority. During this period, not a single evidence of misuse was found, legal representative of the Foundation disclosed. The BRFK’s decision also states that further investigative actions are not likely to carry forward the investigation. The legal representative of the foundation noted that the authority arrived at this conclusion after several years of intensive investigation. The foundation pointed out that the legal decision made it clear that the claims and rumours related to István Balog’s activities published in the media after 2013 were unfounded. Their legal representative noted: During his work, István Balogh kept all the regulations and never misused a single forint. Due to these media claims, the total sum acquired by the Foundation through 1% personal income tax offerings in the past years was 550 million forints less than what was expected based on tendencies before 2014, according to the foundation’s own calculations. Between 2006 and 2009, the Children Cancer Foundation was No 1 in terms of 1% personal income tax offerings; from 2010 to 2013, it was No 2. While in 2013 it received a total of 221 million, this sum fell to 70 million and 63 million in 2014 and 2016, respectively, making the organisation No 6 and No 10 on the list. 1084, Budapest, Rákóczi tér 10.